BMW Group of U.S.A unveiled the sales report for the month of June; according to the report June was lucky month for BMW because sales of 26,865 automobiles were recorded for this which is 15.1% above than the sales of June 2010. Sales of BMW vehicles was 143,521 for the first half of 2011where as the sales for the first half of 2010 was 121,585 which means that BMW experienced 18% increase in sale in first half of 2011 as compare to 2010. BMW brand sales of 21,637 vehicles was reported for June 2011, on the other side 19, 182 units were sold in June 2010 which means the sales of BMW vehicles has been increased by 12.8%. BMW X3 SAV that was launched in January 2010 remained the best selling brand in June 2011 and sales of 12,725 X3 vehicles was recorded for June 2011 as compare to sales of 3,439 for June 2010. This tremendous 270% increase in sales of X3 SAV reflects that it has become the most popular BMW model in U.S.A. Sales of BMW 5 Series vehicles has been increased by 13% as compare to last year; in the first 6 months of 2010, 15,846 vehicles of BMW 5 Series were sold whereas 25,287 models of BMW 5 Series has been sold in the first half of 2011 which means it experienced 60% increase in sale till June 2011. 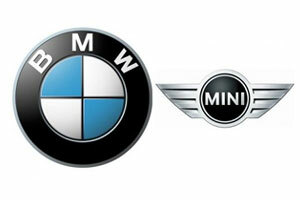 Combined sale of BMW used vehicles for June 2011 was 12,801 which is 4.8% less as compare to June 2010 i.e. 13,445 pre-owned BMW vehicles were sold in June 2010. In June 2011, 5,228 units of MINI were sold in U.S.A., on the other side 4,149 vehicles of MINI were sold in June 2011 it means sales of MINI Brand has been increased by 26%. Overall, sales of MINI vehicle in the first half of 2010 was recorded as 20,953 and for the first half of 2011 it has been recorded as 29,816 i.e. 42.3% increase in volume as compare to last year.